It is really typical this period every year to have a huge wish to travel… or to be close to nature! The reason for that is the change of the time from winter timezone to summer one…meaning the day is even bigger for us, so much more time to be outside of home. This is not the only reason of course, but the fact the the weather is more good and more warm. The perfect opportunity to enjoy a coffee in your balcony. 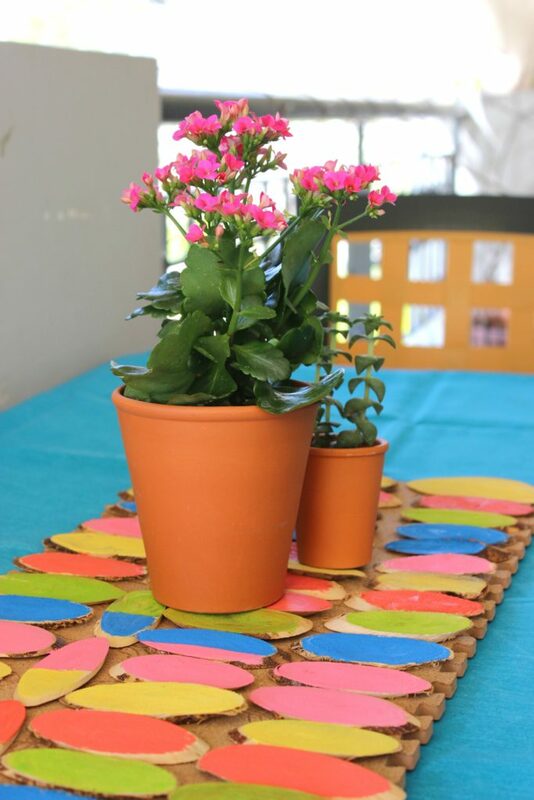 And the great opportunity to make crafts for your balcony! 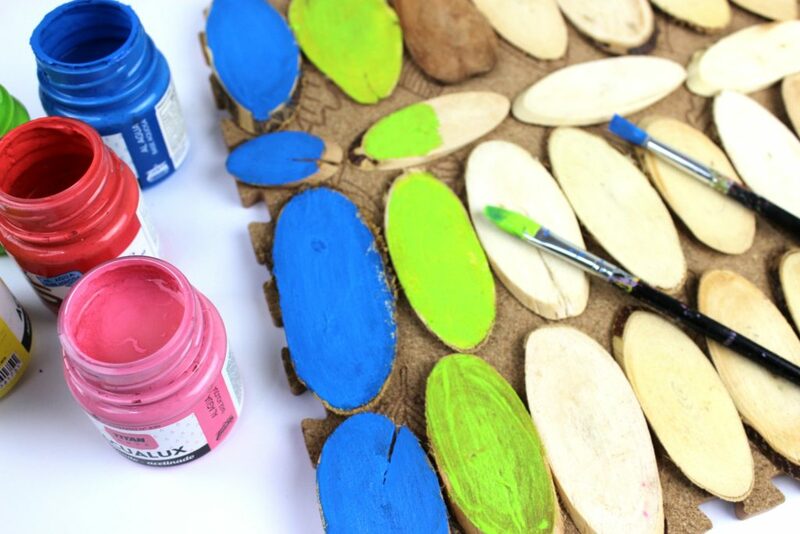 DIY Colored painted wooden table runner! 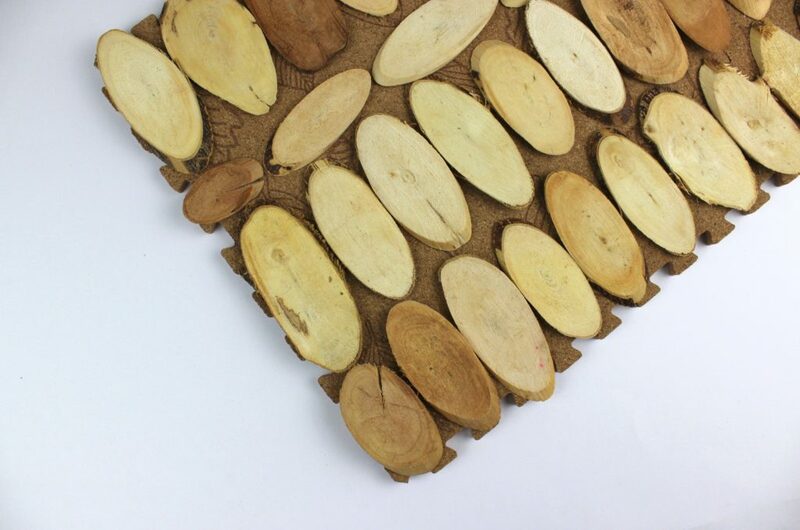 I love wooden slices and every time I found in the craft shop, I always buy a package. You never know when you will an idea to use them. 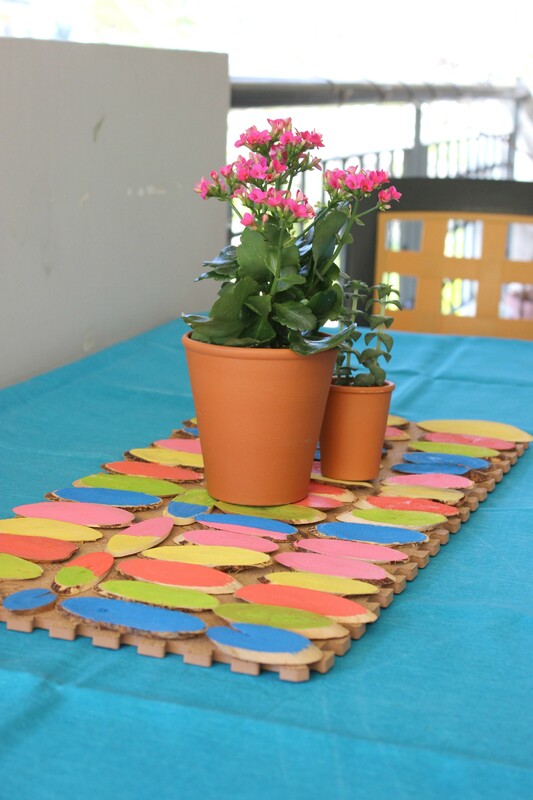 This time the craft idea was for my table on the balcony, since I wanted (typical for me) more colored details. A table runner is useful also and the one I made from cork is also resistant to the bad weather and wet. So first step, find a cork surface. 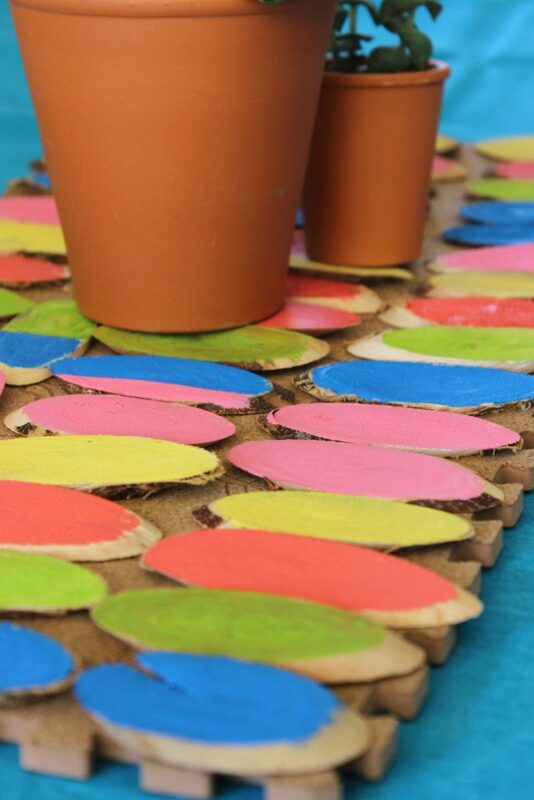 You can use the typical cork for crafts or you can use what I found, the square pieces for the floor. Two were enough for the runner. 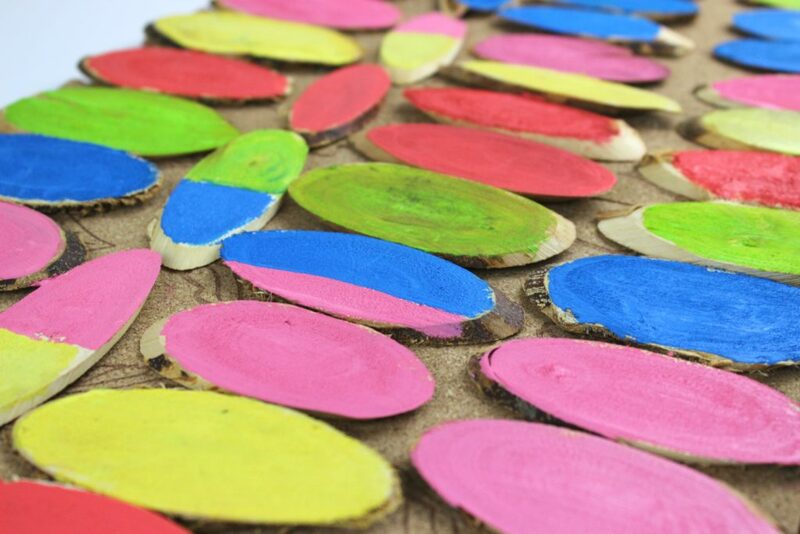 Connect them and put the wooden slices with hot glue on them. And now is the funny part. Kids can also help you. Use as many colors as you wish and start painting your runner. 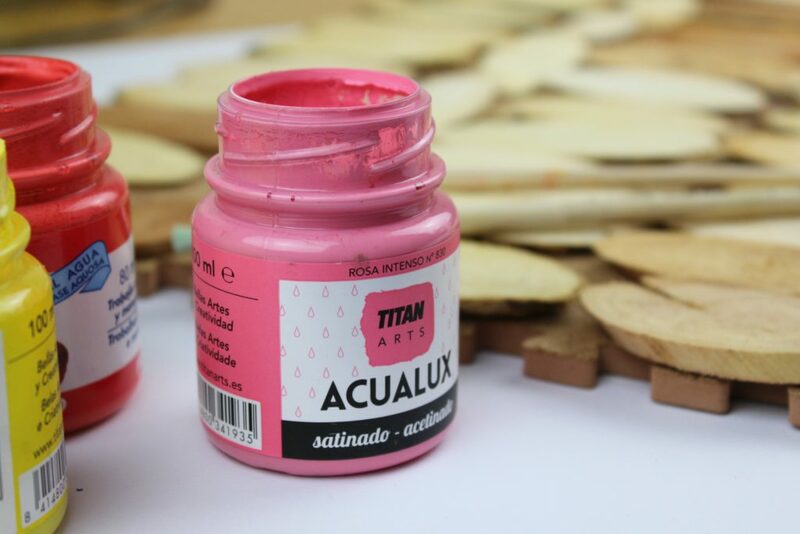 In our case, we used pink, blue, light green, yellow and coral pink. 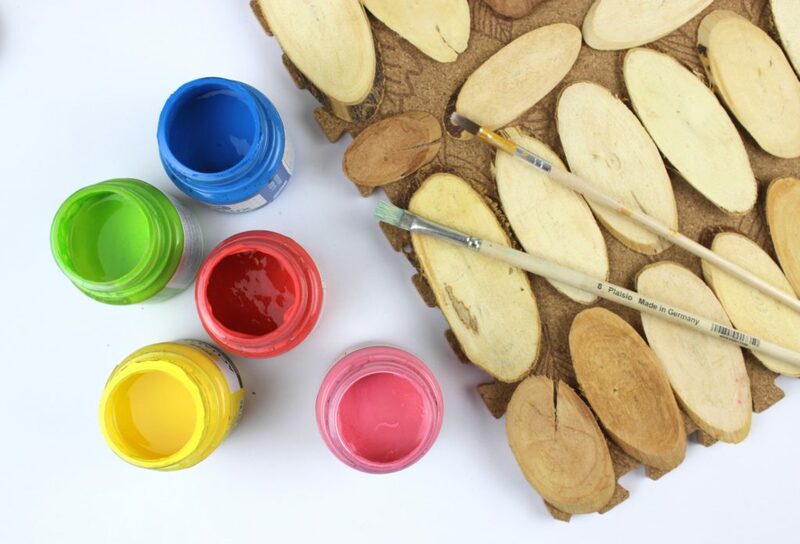 Paint your wood and let it dry. 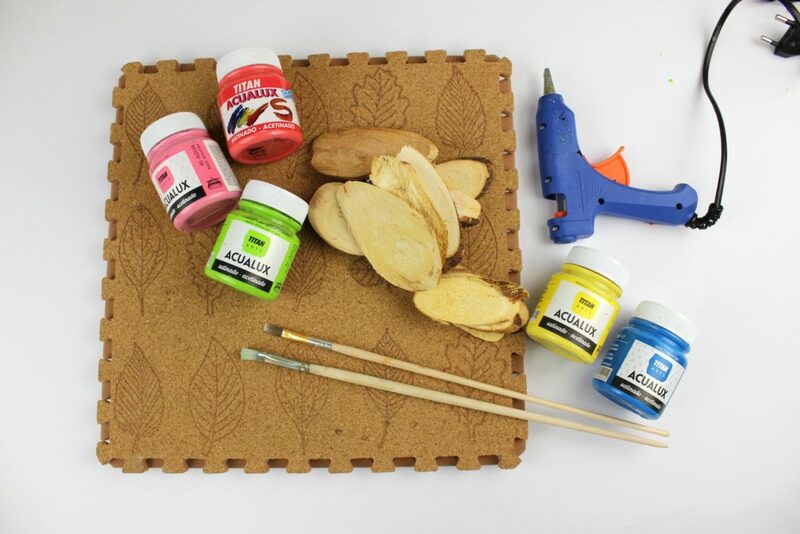 In order to make it even more resistant to water or wet, just use a varnish and apply it with the paint brush. Let it dry also and your runner is ready! My balcony now is full of colors. It was actually the great opportunity to purchase more adorable plants with small flowers! The weather is fine, the afternoon is big enough and I can enjoy my balcony. Reading a book, playing with kids, having a coffee a few things I love to do! So, what do you think? Wasn’t this a really easy craft to make??? Και μου βγάζει κάτι από καλοκαίρι και θέλω να το δοκιμάσω και τρελαίνομαι για τα χρώματα που διάλεξες!! !